To ensure the integrity and independence of our work, individual online donations are limited to £10,000 per donor/per year. The burden is on the donor not to exceed such limits. If you would like to donate a greater amount, please consider applying to become a member of our Philanthropist Fund. For more information on how and what membership entails please email us on giving@libyanjustice.org. Donations made through this service to LFJL are unconditional. No donor will have the ability to direct or control LFJL’s spending of their donation, work as an organisation, or policies. LFJL reserves the right, in its absolute discretion, to return any donation, including where LFJL believes a donation to be inconsistent with its mission statement or goals. Should you have any difficulty with our online donation system, please e-mail giving@libyanjustice.org. The Research and Capacity Building Programme technical trainings aimed at Libyan lawyers and activists working on human rights issues such as the prohibition of torture, freedom of expression, documentation of violations, international and regional strategic litigation and advocacy, among others. If you are actively engaged in related human rights work and would like to be considered for participation in a future training programme, please complete the sign up form here. As part of its Advocacy and Outreach work, LFJL seeks to support the next generation of human rights activists by actively engaging Libya’s youth in discussions and capacity building on the importance of human rights. Initiatives include student focused events such as human rights themed debates and mooting. If you would like to get involved, or would like us to consider holding an event at your university, please reach out to us here. To be notified about discussion events that LFJL is holding or participating in, sign up here. Help us spread the word! Please join the conversation on our social media channels and help us to share news of our projects, events and research. We are interested in receiving pitches for collaborative research projects! If you have an idea for a piece of research that you think fits within, or could expand upon, one of our programme areas, please get in touch and pitch it to us. Email a short outline of your idea along with your CV to info@libyanjustice.org. Working for Lawyers for Justice in Libya means joining a team that exists and works for, and is passionate about, the defence and the promotion of justice in Libya through the promotion of human rights, the rule of law and democracy. We aspire to give our employees the opportunity to work in a positive and friendly environment and one where they are able to have a fulfilling experience and one which works towards building a Libya based on the rule of law and democracy where human rights are respected and upheld. Lawyers for Justice in Libya believes that a diverse workforce is a stronger workforce and therefore does not discriminate in its hiring practices. Check back regularly for new job postings or e-mail jobs@libyanjustice.org. Volunteering with Lawyers for Justice in Libya means joining a team that exists and works for, and is passionate about, the defence and the promotion of justice in Libya through the promotion of human rights, the rule of law and democracy. We offer a wide range of volunteer opportunities including work experience, internships, contributions to events and fundraising. We aspire to give our volunteers the opportunity to work in a positive and friendly environment and one where they are able to have a fulfiling experience while contributing to our work towards a Libya based on the rule of law and democracy where human rights are respected and upheld. Check back regularly for new volunteering opportunities or e-mail volunteer@libyanjustice.org. Are you passionate about communications and human rights? We are looking for a motivated, passionate individual to join our team for a period of three months. You will be supporting our communications activity while boosting your skills and gaining invaluable working experience with a human rights organisation. Send us your CV and a brief cover letter specifying your interest and availability to volunteer@libyanjustice.org by 28 April 2019. Read more about the position. 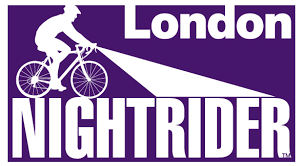 Throughout the night of 8/9 June 2019, LFJL will participate in the London Nightrider to raise funds for LFJL's #RoutesToJustice! Please consider supporting our 50km ride around London so we can continue to fight for justice & human rights for all in Libya. ​​​​​​​ You can also sign up here if you want to join us and cycle to support LFJL! We are hugely grateful for your support and, as always, welcome your questions, feedback and comments via Twitter @libyanjustice & Facebook!